If you don’t have the space for an extended table to complement your benchtop, why not use both to crate your island or benchtops. Timber below, polished concrete on top. The chunky look works well for modern or industrial, while the sleek timber suits the more modern/contemporary style. 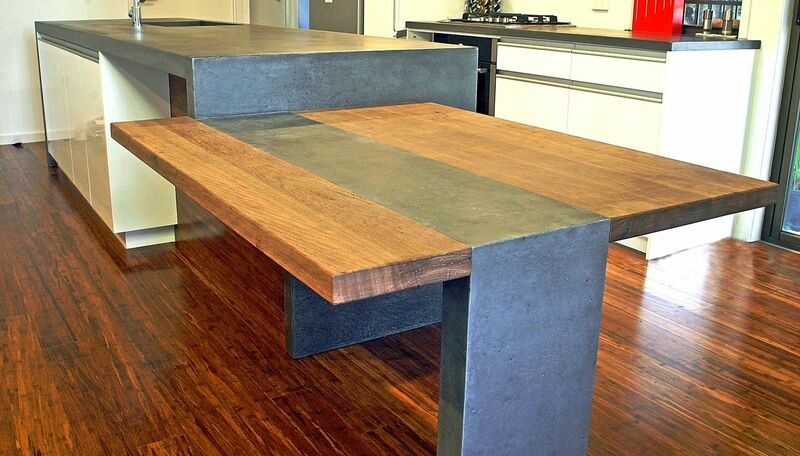 If concrete tops are too harsh for your kitchen’s style, switch it up and use timber instead. A simple timber top or waterfall ends looks classy and classic. 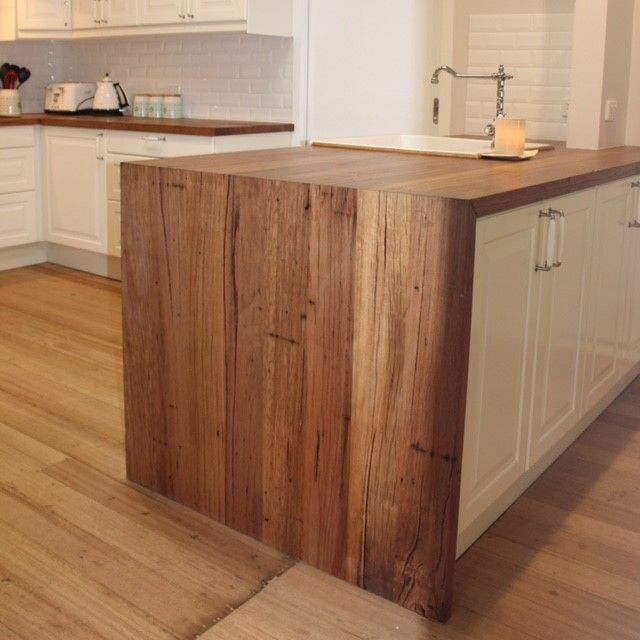 Timber, stainless steel and polished concrete are by far the safer options when it comes to kitchen building materials, but many home owners have been turning up the spectrum and getting more colour into their kitchen. Laminate kitchen worktops or cabinets with stainless steel makes for a clean, modern and refreshing kitchen look. If you’re renovating or re-building your kitchen, we’d love to help. Adelaide Outdoor Kitchens is a locally owned and operated business helping South Aussies create more memories in their kitchens.